Angry Birds Space - use the gravity of nearby planets to set up spectacular trick shot! Angry Birds Space - from floating through space to using the gravity of nearby planets to set up spectacular trick shots, Angry Birds Space takes the gameplay that fans already know and love to a totally new level. With brand new birds, brand new superpowers, and a whole galaxy to explore, the sky is no longer the limit! Download Angry Birds Space Demo game today and play now! 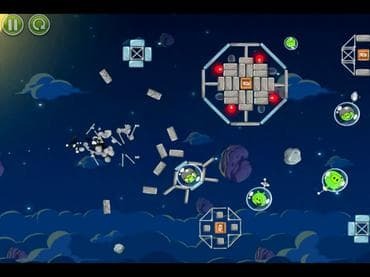 Если у Вас есть вопросы, связанные с игрой Angry Birds Space пожалуйста используйте эту форму для связи с нами.